Outer Limitz Trampoline Arena is an ideal destination for Field Trips and Group Events. Let your group take flight in our 25,000 square foot facility that is PACKED with fun activities. - Spider your way through our 5 level maze of straps in the Spiderzone Tower. We also have an Arcade with Redemption Prizes, and a Café offering Pizza, Hot Dogs, snacks, and drinks. Catering options are available and party rooms can be reserved if you need a private area for your group. 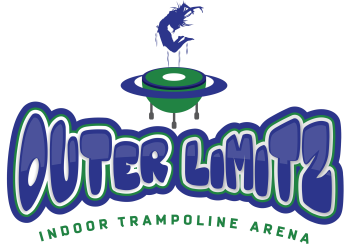 Outer Limitz Trampoline Arena is ideal for private events, Church groups, youth organizations, sports teams, fraternities/sororities, family reunions and more!